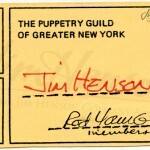 The small medallion on a silk ribbon that Jim received from the Puppetry Guild of Greater New York was just a token in recognition of the impressive achievements of one of their own. The Guild, the New York chapter of the national organization Puppeteers of America, was happy to celebrate Jim’s work and value his participation in their activities. Going back to his Washington days, Jim was eager to meet with other puppeteers and share skills and innovations of the craft. He and his wife Jane attended meetings of the National Capital Puppet Guild before their move to New York, and they became active in the Puppeteers of America. This was the earliest evidence of Jim’s lifelong commitment to his fellow puppeteers across the globe. It was through the Puppeteers of America that Jim met and recruited the original members of his creative team. In 1960, he and Jane attended their first Puppeteers of America festival in Detroit. There, Jim was delighted to meet one of his earliest influences, Burr Tillstrom, and he was also introduced to Don Sahlin, an accomplished builder. 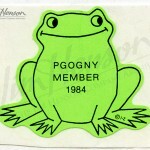 Two years later, Don joined Jim’s fledgling company. The following year, at the festival in Asilomar, California, Jim met Frank Oz and Jerry Juhl, two puppeteers who were to become Jim’s lifelong collaborators. Later in the ’60s at another festival, Jim met Caroll Spinney, who would become known to the world as Big Bird. Jim’s involvement with the Puppeteers of America and the New York Guild continued throughout his life; he served as Puppeteers of America president for the 1962-63 term and was responsible for the 1963 festival, held in Hurleyville, N.Y. In 1966, Jim became one of the founding officers of UNIMA-USA, the American branch of the international puppetry organization. 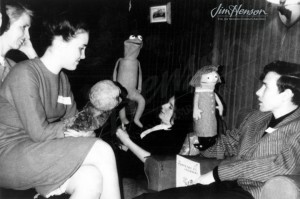 UNIMA-USA’s incorporation in 1979 was helped enormously by Jim’s efforts, and he also organized the 1980 UNIMA congress held in Washington, D.C. His most famous puppet, Kermit the Frog, hosted a related television special, Here Come The Puppets, that enabled him to share the festival with viewers everywhere. 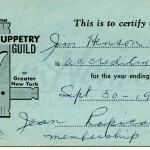 See more information about the Puppetry Guild of Greater New York. Jim and Jane Henson at a National Capital Puppet Guild Meeting in Arlington, VA, 1962. Photo: Florence Backus. 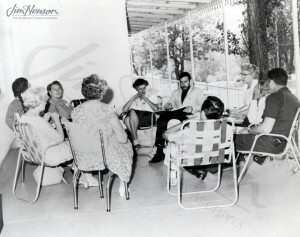 Jim conducts a meeting at the Puppeteers of America Festival during his tenure as president in 1963. 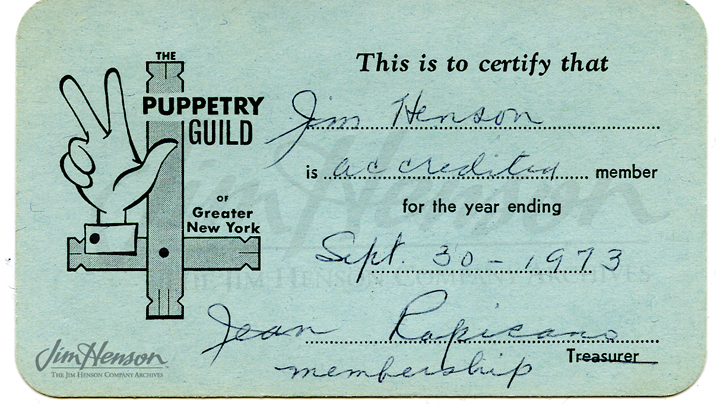 Jim’s Puppetry Guild of Greater New York membership card, 1973. 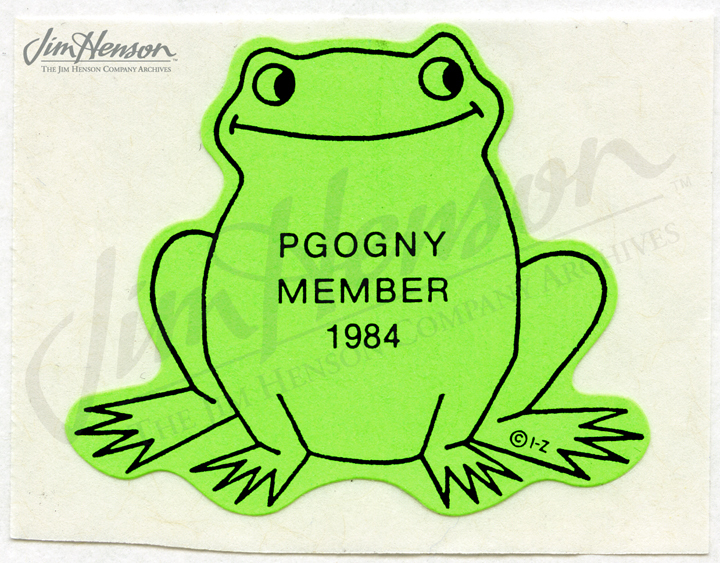 The Puppetry Guild of Greater New York logo, 1984. 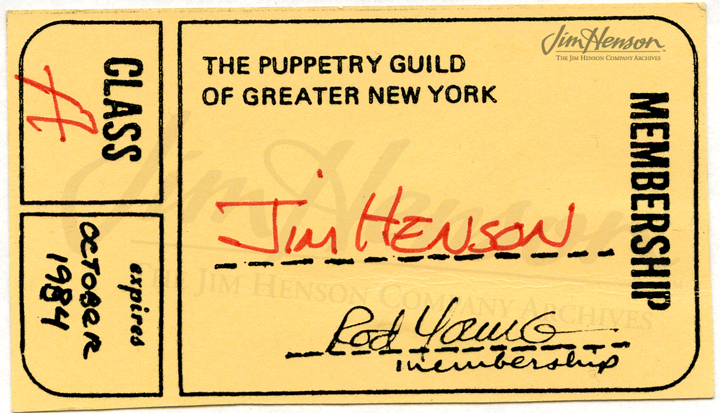 Jim’s Puppetry Guild of Greater New York membership card, 1984. 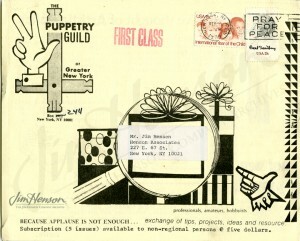 Publication of the Puppetry Guild of Greater New York, 1979. 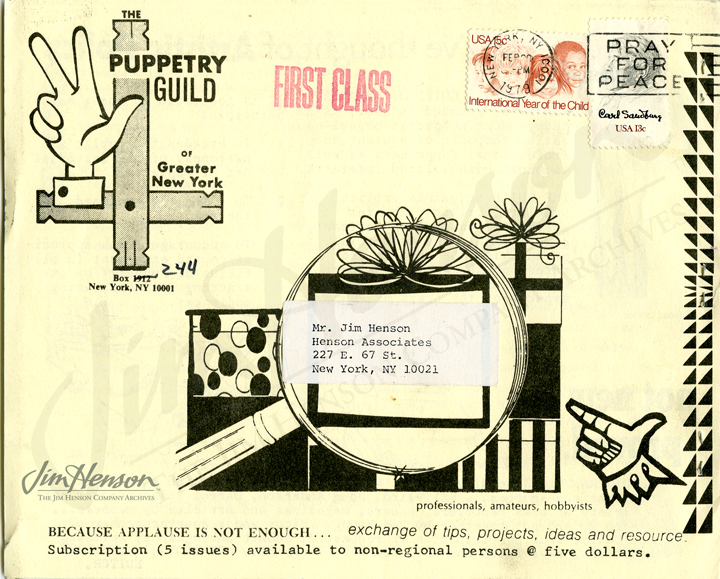 This entry was posted in 02-February '71, 1971, Honors and tagged Burr Tillstrom, Caroll Spinney, Detroit, Don Sahlin, Frank Oz, Jane Henson, Jerry Juhl, Kermit, National Capital Puppet Guild, New York Puppetry Guild, Puppeteers of America, Puppeteers of America Festival. Bookmark the permalink.